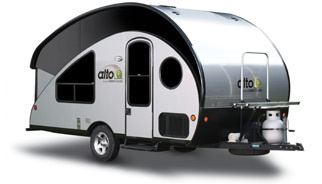 The Alto R-Series is the original Alto travel trailer with the one-of-a-kind retractable roof, raising and lowering at the touch of a button. 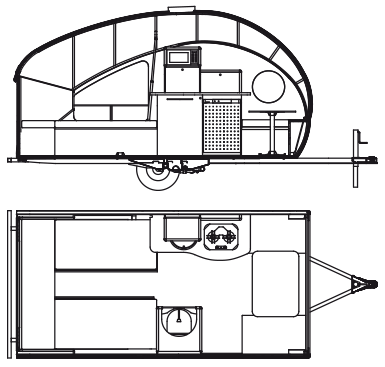 When closed, this 17-foot-long trailer will fit beneath a 7-foot garage door, making storage easy. When expanded, the Alto gives you 82"of interior height, making for great livability. But even if the roof is down, you can enter your Alto and use the space--great for pit-stops along the road! 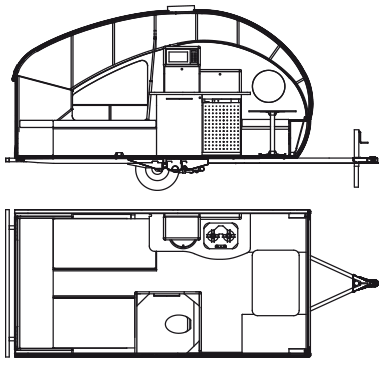 The R-Series Alto come in two distinct floorplans, each offering sleeping for three adults. Click the button to download R Series brochure.